I love fall. I love the smell, I love the colors, I love the temperature. It’s my second favorite season next to summer. 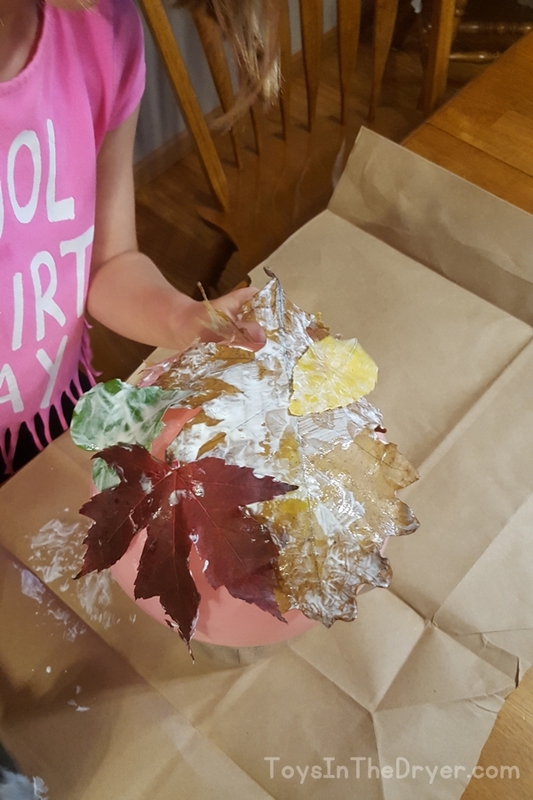 I’m always looking for new things to do with fall leaves so when I came across a fall leaf bowl on Pinterest, I knew the girls and I had to try to make one. 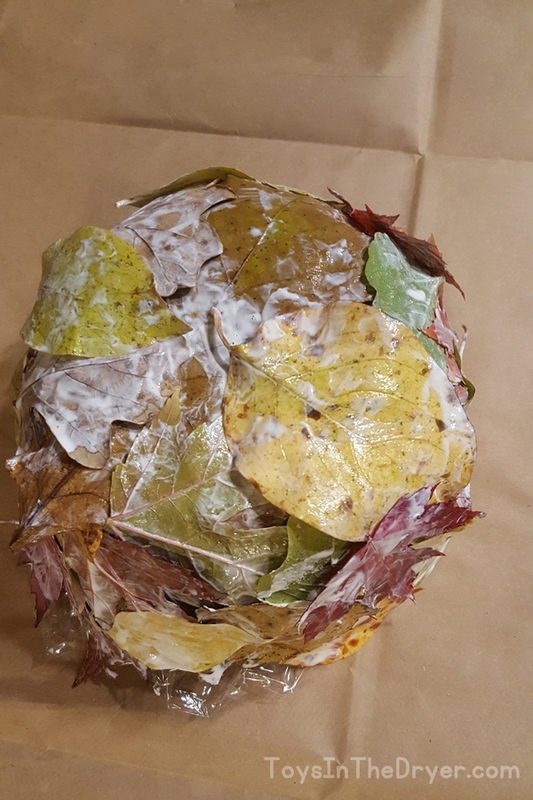 We first tried to Modge Podge the leaves around a balloon like some people suggested. 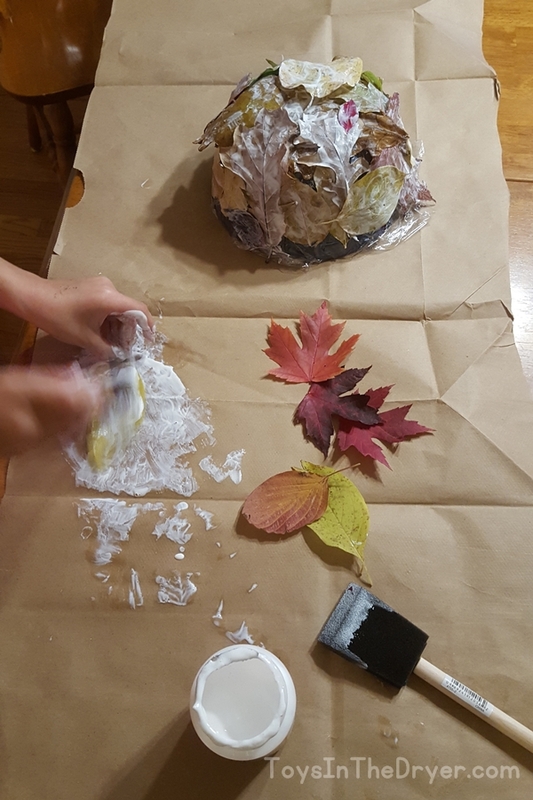 However, the balloon was too round and the leaves had a hard time molding to the form and staying on it. 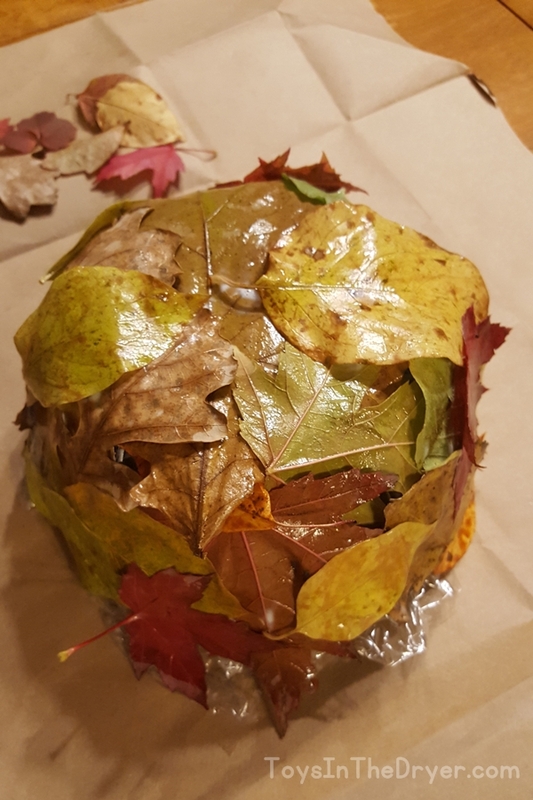 So we got out one of my mixing bowls and covered it with plastic wrap so that the leaves didn’t permanently stick to it. The bowl worked much better than the balloon! 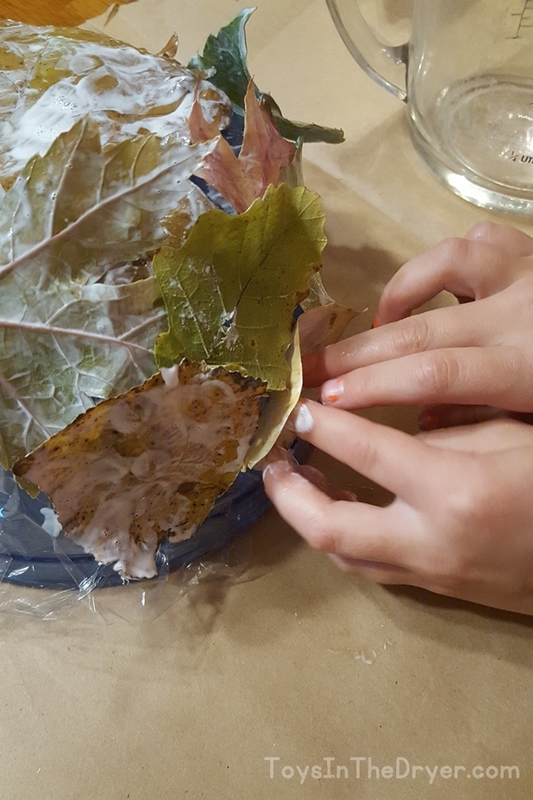 TJ loved covering leaves with Modge Podge and then sticking them to each other around the bowl. She thought it was kind of like a puzzle trying to make sure there weren’t any holes. We ended up having to gather a bunch more leaves because we didn’t realize we would need so many. Once TJ was satisfied that she had enough leaves covering the bowl, we set it aside to dry over night. 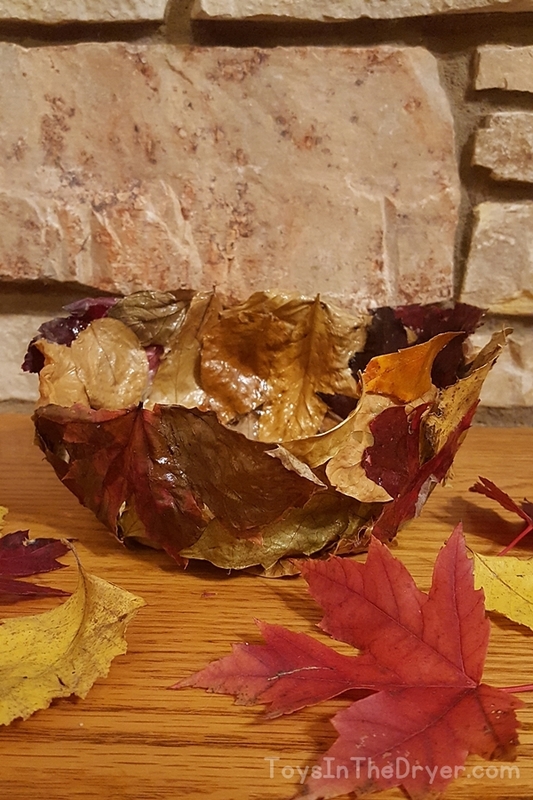 To be honest, I wasn’t sure this fall leaf bowl was going to turn out. I don’t know what I was expecting, but it looked nothing like I thought it should at this stage. It worked! It actually worked! 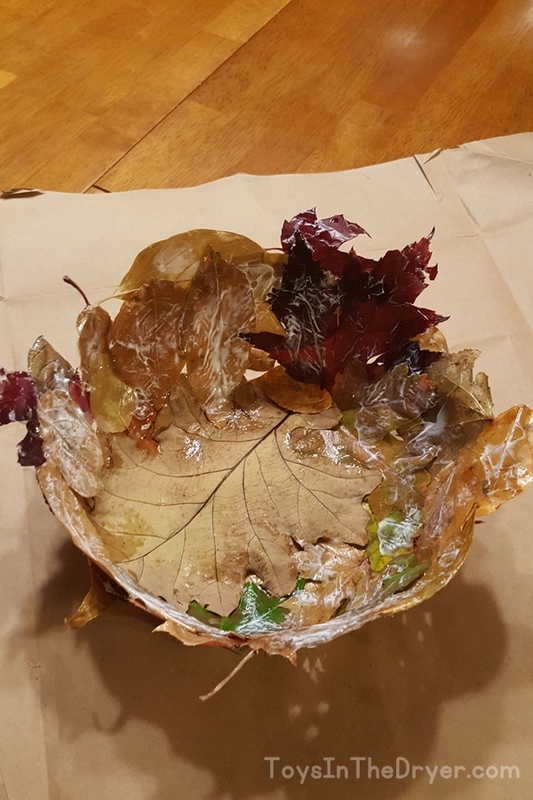 After pealing off the plastic wrap we learned the inside needed to dry a bit but for the most part, the fall leaf bowl turned out great! I was impressed! 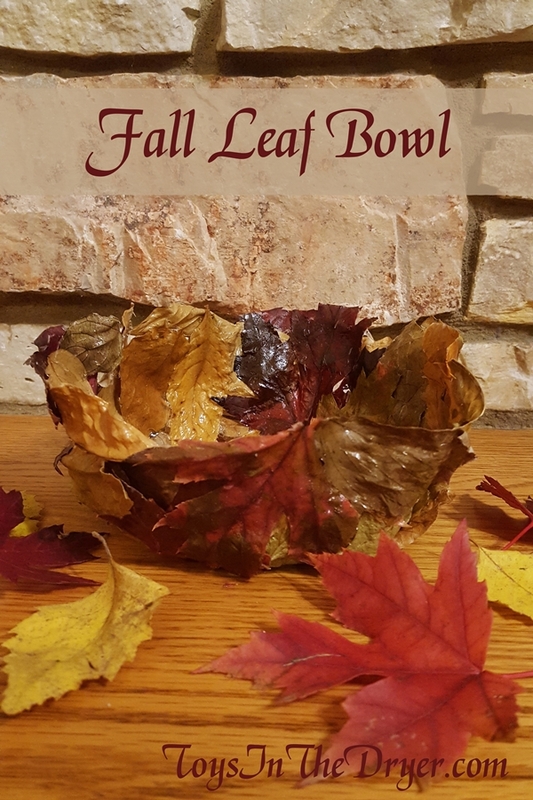 It’s been a few days since we’ve made our fall leaf bowl and it still looks great sitting on our table. It’s going to make a nice addition to our Thanksgiving decor. Hurry and make one for yourself before the leaves are gone!